London is one of those cities that is constantly changing with new and exciting things sprouting up almost every day. As one of the most visited cities in the world, London is busy, vibrant and very tourist friendly. History and tradition greet you at every turn in London. 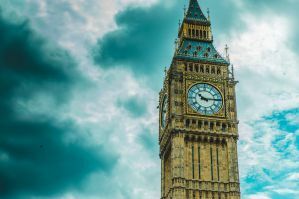 Ogle the crown jewels at the Tower of London, hear the chimes of Big Ben, and see the Houses of Parliament in action. Hobnob with the tombstones in Westminster Abbey, visit Leonardo, Botticelli, and Rembrandt in the National Gallery, and explore Harry Potter’s stomping grounds at the film studio in Leavesden. See London from above on the London Eye; meet a celebrity at Madame Tussauds; examine some of the world’s most precious treasures at the British Museum; come face-to-face with the dinosaurs at the Natural History Museum or whisper across the dome of St. Paul’s Cathedral. 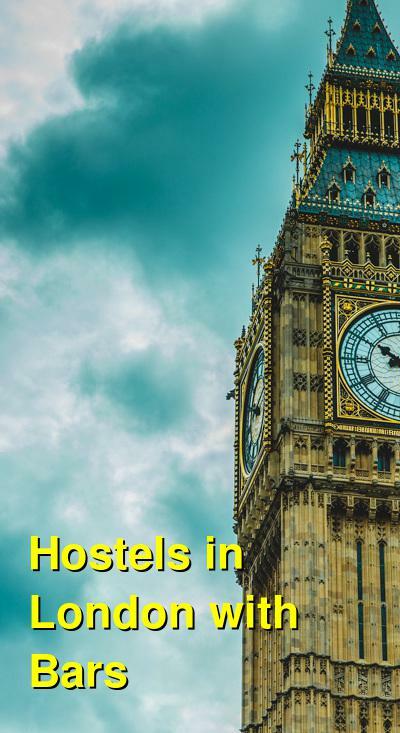 How much do hostels in London cost? Which hostels in London have the best bars? Generator Hostel London is a clean, secure, well-organised hostel with good and professional staff. Their lively and atmospheric bar is a great place to hang out and have a beer while meeting nice people from around the globe. This hostel is only a three minutes walk to Russell Square Underground Station, six minutes to King’s Cross Station and near many bus stops. You will never run out of things to do in London. You just have to decide where to start and the friendly staff of Generator Hostel will be happy to help you with that. Choose from a great selection of rooms, from mixed and female dorms for 4 to 13 people, to single, twin, 3-, 4- and 6- beds private rooms with shared bathrooms. To get the most out of your stay, ask the friendly staff, who are also city experts, to help you plan an itinerary that will take you to all the hidden treasures this dynamic city has to offer. Generator Hostel London also offers a fast and free WiFi in public areas and guest bedrooms, luggage storage, laundry facilities, a games room, a bar and chill out areas, nightly events and entertainment, dining facilities for breakfast, lunch, dinner and all day snacks, vending machines available for night owls to satisfy the midnight munchies. Clink78 hostel is located in a building which used to be a former courthouse near King&apos;s Cross. The Eurostar, The National Rail and six tube lines are just ten minutes away by foot. Connect to free Wi-Fi throughout the hostel and enjoy a great-value buffet breakfast for only £2. ClashBAR, Clink78&apos;s basement entertainment venue, is the place to head for DJ nights, live music, pool games, foosball and great drinks deals. Hang out with fellow travelers in the TV lounge in one of the original courtrooms or cook a budget friendly meal in the modern self-catering kitchen. If you&apos;re lucky, you can also catch artists creating or musicians performing as part of the hostel&apos;s ClinkCREATIVE program. Reception is open 24/7 and managed by friendly, multilingual staff who are happy to share their top tips on the city. They also run the TravelSHOP where you can buy discounted tickets for London attractions and other handy travel products. Night security is in place from 9pm and guests can access the building and their room with a personal key card. A free walking tour leaves daily from the hostel. Clink78 offers a mixture of double private rooms, ensuite or with shared bathrooms and dorms of 4 to 12 people, some of which have en-suite bathrooms. Most rooms have bunk beds with a personal light and locker so don&apos;t forget to bring your own padlock. Bed linen is included in all rooms. Towels are included in private rooms and are available for a small fee at the reception for guests staying in dorms. At The Dover Castle Hostel, the aim is to provide backpackers and international travellers with a comfortable, safe, clean and friendly accommodation. Mixed dorms for 6, 8, 10 and 12 people for short stays and private accommodation in furnished houses and apartments for longer-staying guests are available. The Dover Castle Flatshare Agency helps guests wanting to move to London, either to work or study. The agency offers great value rooms in house and flat shares located in South East and South West London, zone 2, about 20 minutes by bus to London Bridge. Priority for the flatshares is given to existing Dover Castle Hostel guests and the staff can arrange a free viewing of available rooms for interested guests during their hostel stay. The best tourist sights such as the Tower Bridge, St Paul’s Cathedral, London Eye and the Tate Modern Gallery, are just a short walk away. Dover Castle Hostel&apos;s own bar and common room means you can party, relax and meet other backpackers. The Dover Castle Hostel facilities include a free continental breakfast, free welcome drink, 24 hour reception, free WIFI, an internet cafe, a fully equipped guest kitchen, lockers for hire, a free luggage room, a cheap laundry service and a guest shop. They can lend guests towels, adaptors and hair dryers for free. They also have a TV lounge and a bar, where you can enjoy music, drinks and cheap eats, such as pizzas, chicken wings, and potato wedges until 2am! The Bar also has a pool table and is an awesome place for socializing with other international guests as well as local Londoners. There is no curfew so you can come and go as you please. The hostel is clean and secure and the international staff are helpful and friendly. They will help guests find their way around London, arrange airport shuttles, taxi services, free walking tours of London, and to find cool places to party. Guests at the hostel can also take advantage of the hostel&apos;s cheaper weekly and seasonal offers and extend their stay. This hostel is located in the capital&apos;s coolest district, where cool East meets old school Central London. This area is famous for its alternative culture and hipster style. The hostel is housed in a converted, Victorian-era warehouse and has a wonderful industrial feel. Perfect if you&apos;re looking for something with quirky style and an independent vibe. The Dictionary Hostel is located just meters away from the bustling Shoreditch High Street, home to London&apos;s coolest bars, clubs, restaurants, galleries and independent shops. The hostel has its own bustling on-site bar and cafe, where you will get a 20% discount. Brick Lane, Spitalfields Market, Columbia Road and The Old Truman Brewery are all within walking distance of the hostel, which is also only a bus trip away from the Tower of London, Oxford Street and Covent Garden. Here, you will find a great staff, free WiFi, 24 hour reception, free breakfast, roof terrace, self catering kitchen, laundrette, foosball, and a coffee shop. They also provide free luggage storage for you on the day of your arrival. Double private rooms ensuite or with shared bathroom and 4-bed to 16-bed mixed ensuite dorms are available.